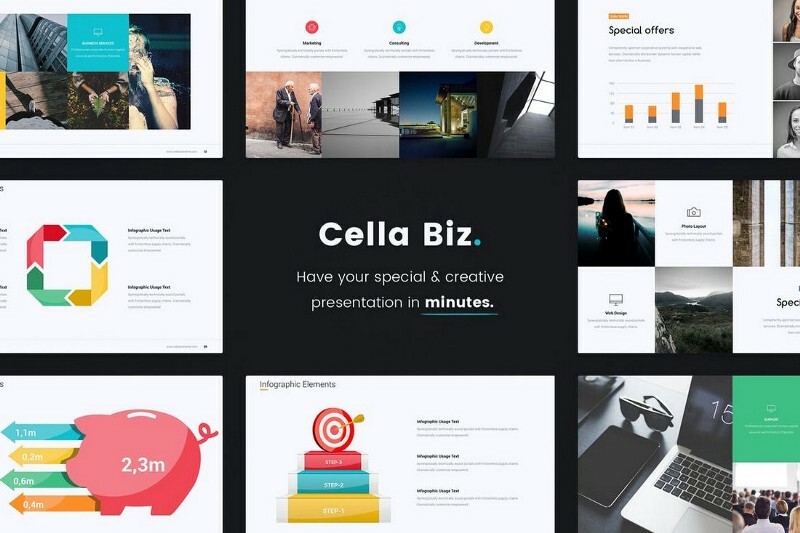 Here’s a list of the best Business PowerPoint Templates and Themes. These are some of the most useful and powerful themes for your powerpoint presentations. 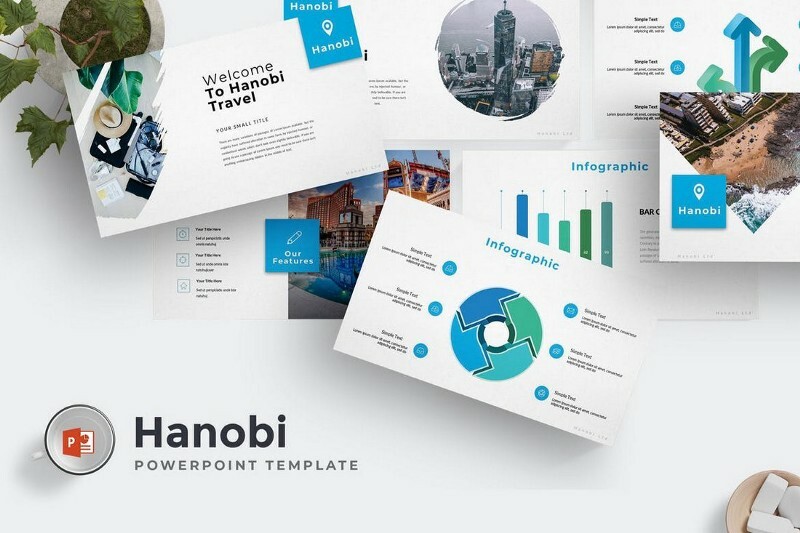 Hanobi is a modern and elegant PowerPoint template that features a professional design for making slideshows for business and creative presentations. It includes a total of 150 slide designs that are also available in 5 different color schemes. Anada is a PowerPoint template most suitable for making marketing and sales related presentations. It comes with 30 unique slides featuring infographics, charts, graphs, and icons. The template s also available in 3 different colors as well as light and dark themes. 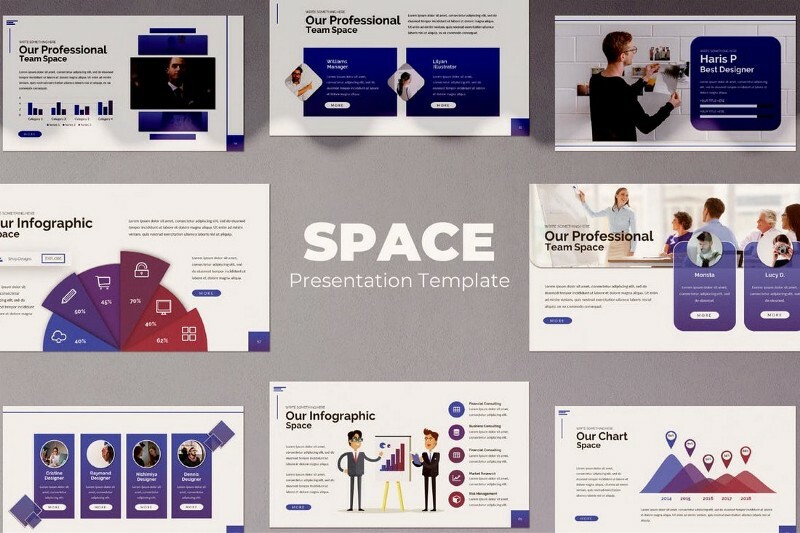 Space is a minimalist and professional PowerPoint template that includes a set of gorgeously designed slides featuring portfolio slides, infographics, vector graphics, image placeholders, and much more. 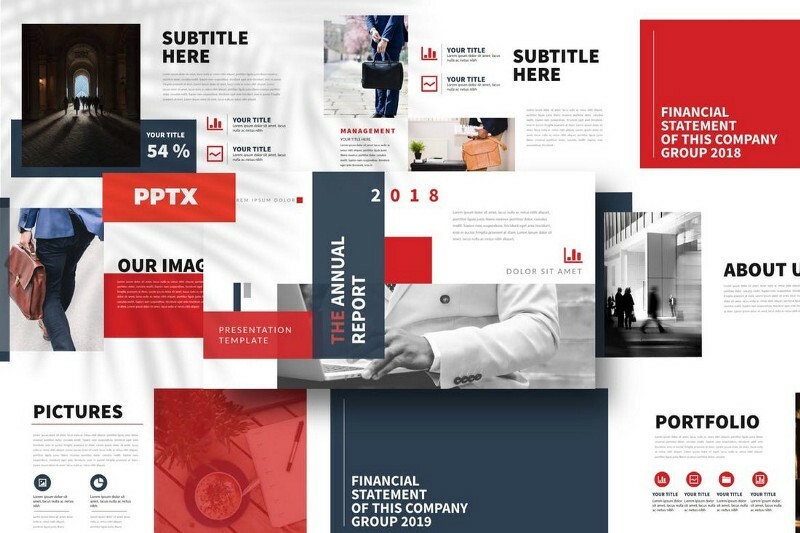 Create and present your report presentations in a more professional way using this stylish PowerPoint template. It includes more than 50 unique slides that can be easily customized to change colors, fonts, and icons as well. Laforest PowerPoint template comes with 12 different files featuring the slideshow in 3 premade color schemes and in light and dark themes. 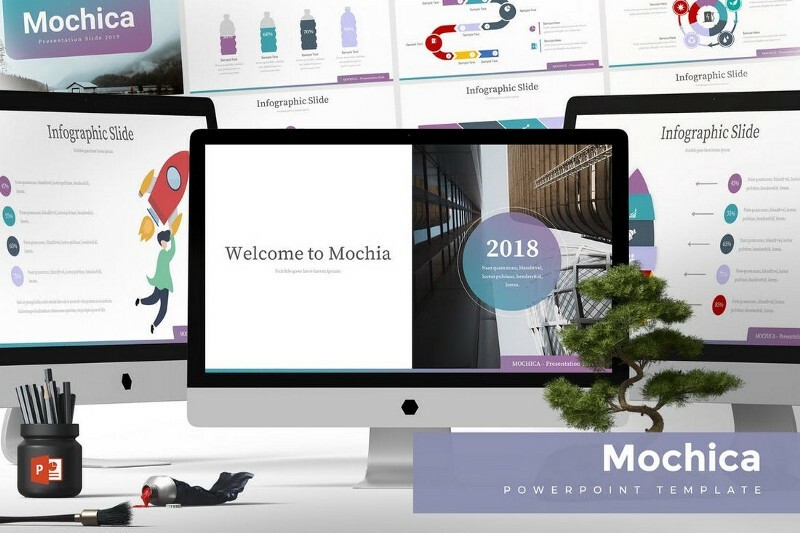 It includes 30 professionally designed slides featuring timelines, mockups, image placeholders, and more. Mochica features a minimalist design with lots of clean and white space. 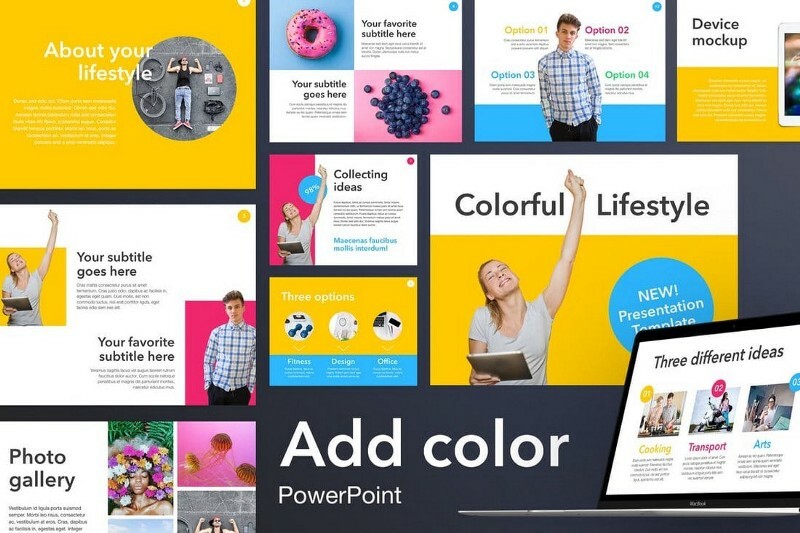 The PowerPoint template lets you choose from 5 color schemes and a total of 150 slides to design professional presentations. 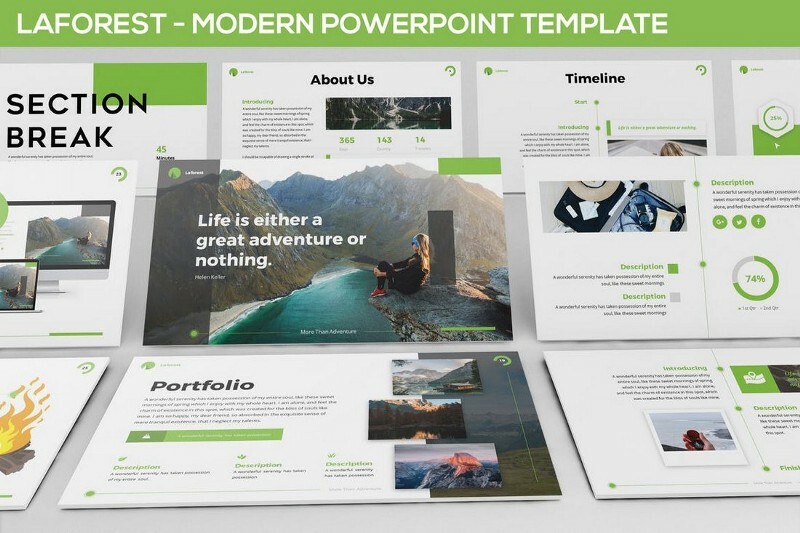 With this professional PowerPoint template, you’ll be able to create attractive presentations for project proposals and meetings. 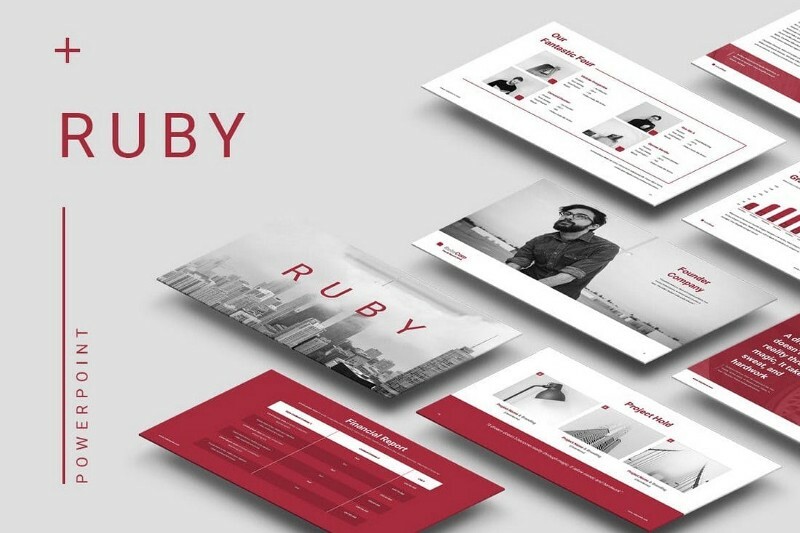 The template is available in 4 different color themes and it features lots of unique slides for describing pricing, project scope, budget, and more. 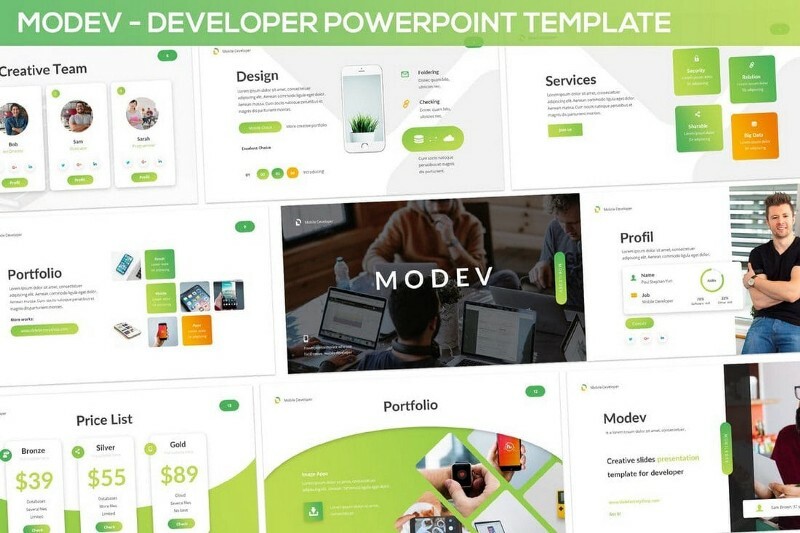 This PowerPoint template will definitely come in handy for startups and businesses for making powerful pitch decks to promote and present their ideas and startups to investors. The template includes a total of 120 slides. 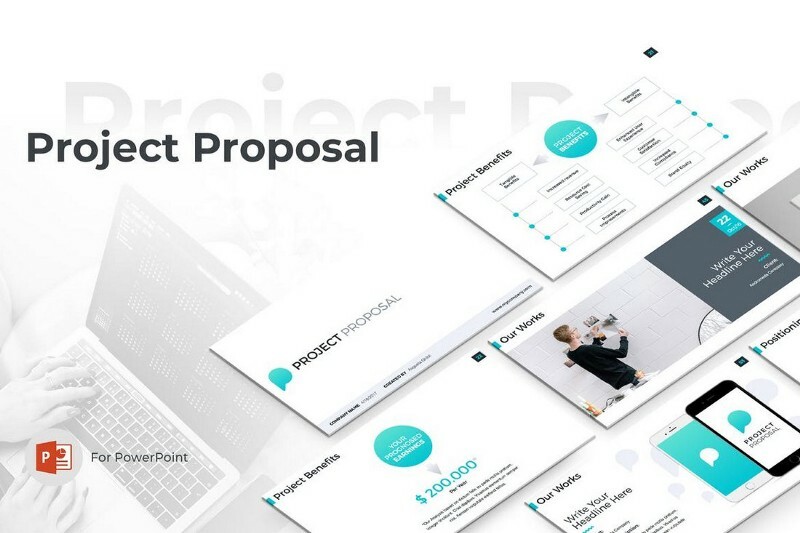 Another modern and professionally designed PowerPoint template for making attractive proposal presentations. This template comes with 50 unique slides that feature 3D infographics, icons, vector illustrations, and more. 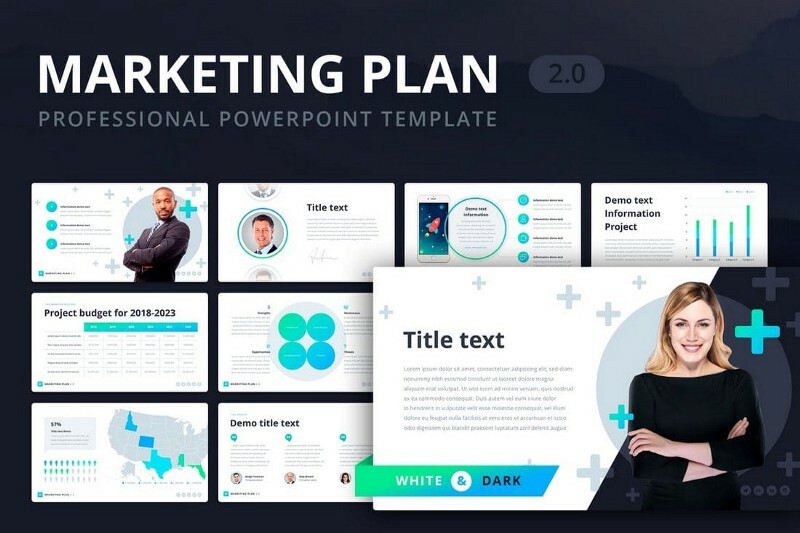 Create unique and persuasive marketing and sales presentations using this PowerPoint template. It features 50 unique slides you can easily edit to change colors, text, images, and shapes. 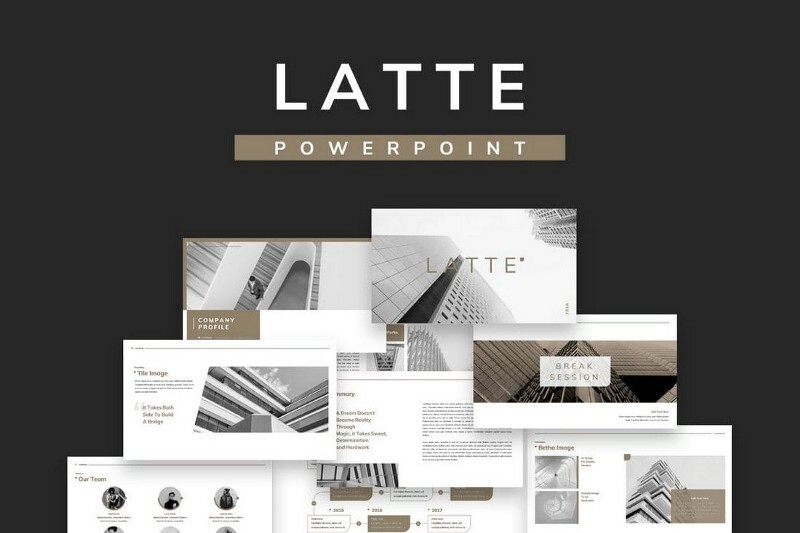 Latte is a professional PowerPoint template that comes with a minimal and a modern design. The template features lots of space for showing off images with a beautiful color scheme. 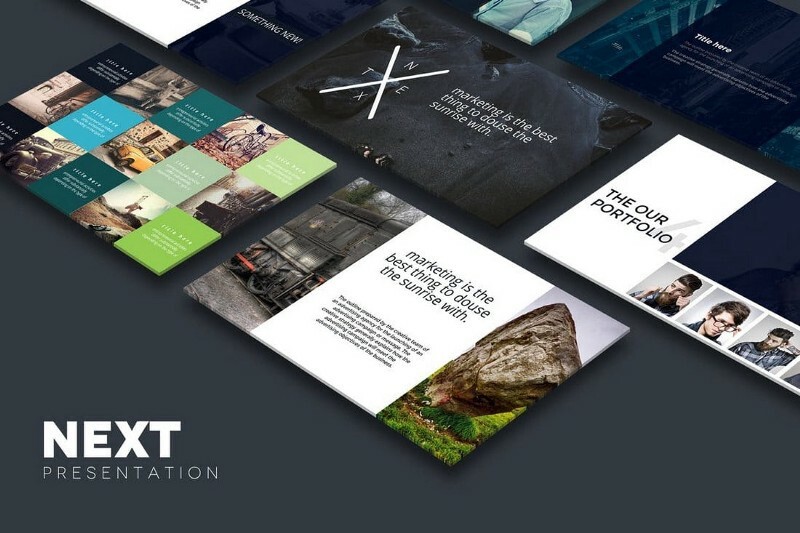 It includes over 50 unique slides based on master slides with vector graphics and portfolio slides. 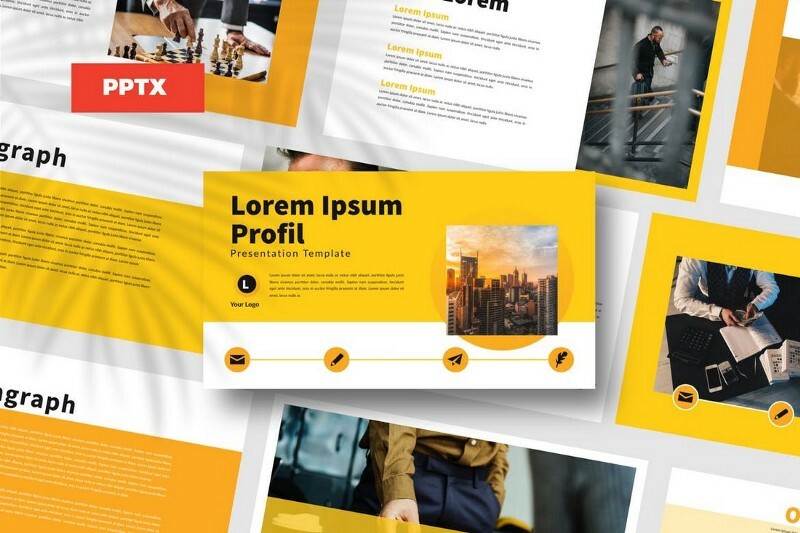 This is a PowerPoint template designed specifically for creating marketing-related presentations. It includes 30 unique slides that come in 10 different color schemes. The slides are also available in white and dark background versions. The slideshow is also fully animated and print-ready as well. 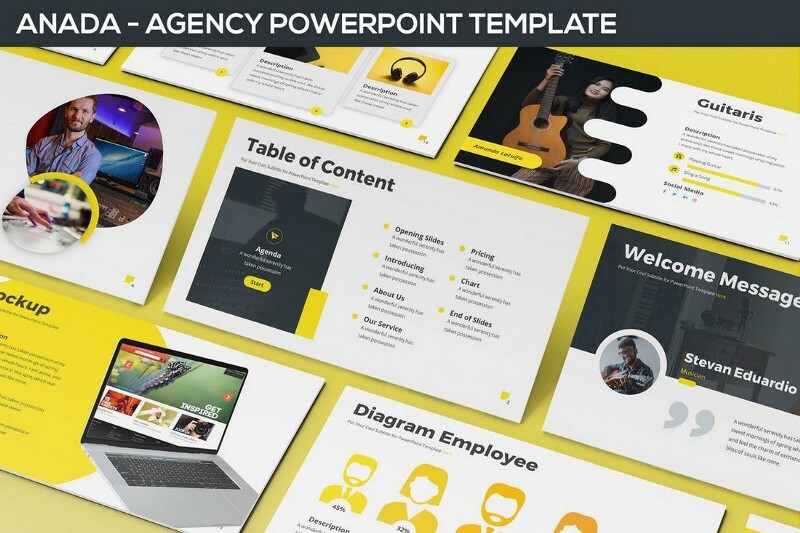 This professional PowerPoint template is most suitable for creating slideshows for design agency and freelancer presentations. It features an elegant color design, which is available in Green, Blue, and Pink versions. Each template consists of 30 unique slides. Just as the title suggests, this is a minimalist PowerPoint template that comes with a total of over 300 slides. The template features a modern design that makes it ideal for SaaS and small business related presentations. It’s also available in 10 different color schemes as well. 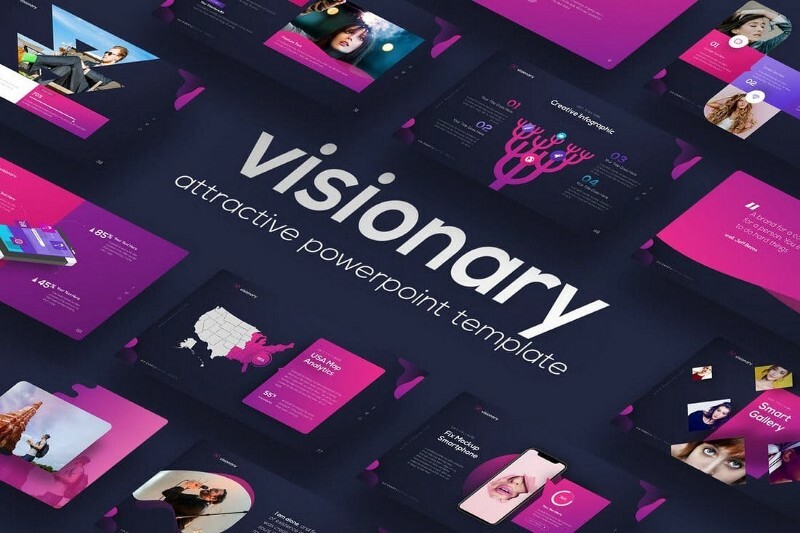 Visionary is a professionally designed PowerPoint template that includes 80 unique multipurpose slides with vibrant colors. The template is available in 30 different color schemes and it comes with 98 master slide layouts for creating your own unique slides. 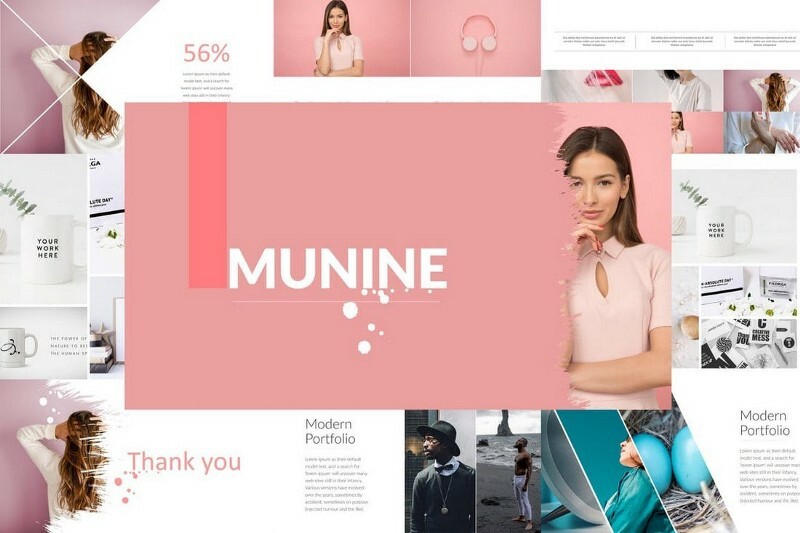 Munine is a PowerPoint slideshow template with a feminine design. It’s perfect for designing slideshows for fashion and clothing brand related presentations. The template features 60 unique slides in 50 different premade color schemes. Each template is also available in dark and light color versions as well. Idea is a PowerPoint template designed specifically for marketing related presentations. It’s also perfect for making presentations for creative and design agencies as well. It includes 30 unique slides in 3 different color schemes. 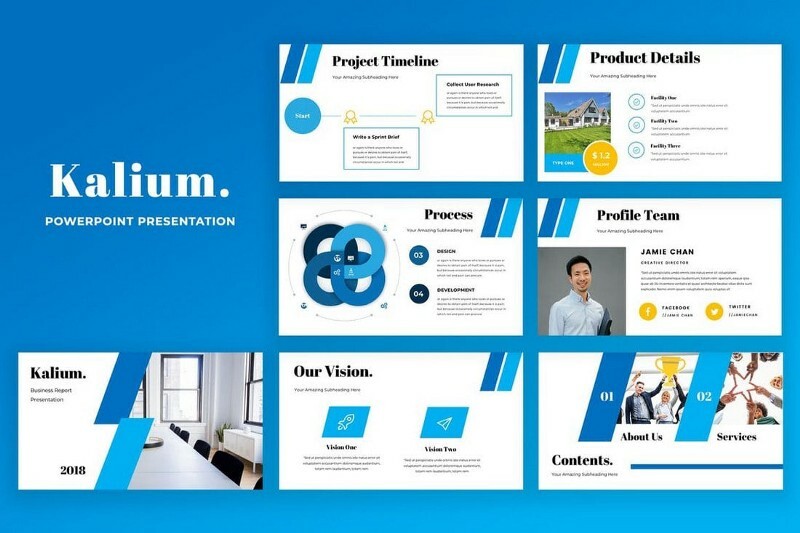 Featuring a professional design, Kalium PowerPoint template is most suitable for creating presentations for corporate businesses, brands, and agencies. It includes 50 unique slides that are easily customizable and featuring lots of vector graphics and elements. The slides also come equipped with animations as well. 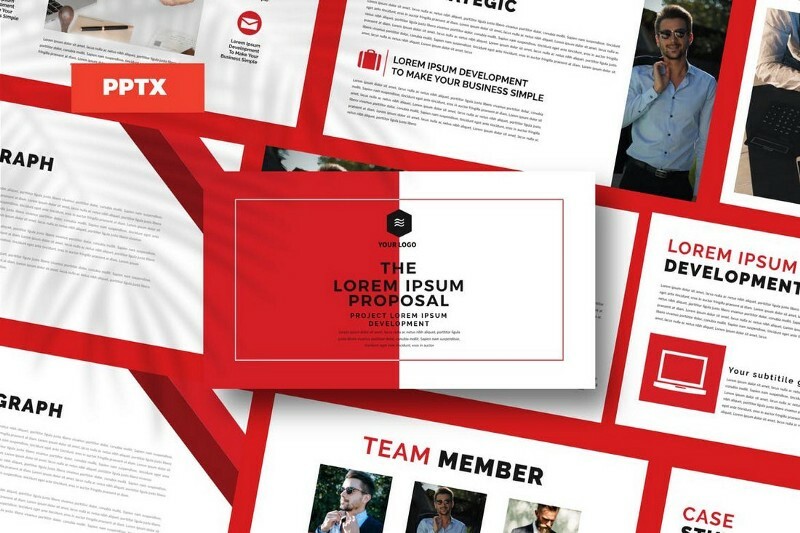 This PowerPoint template is ideal for design agencies and other creative businesses. 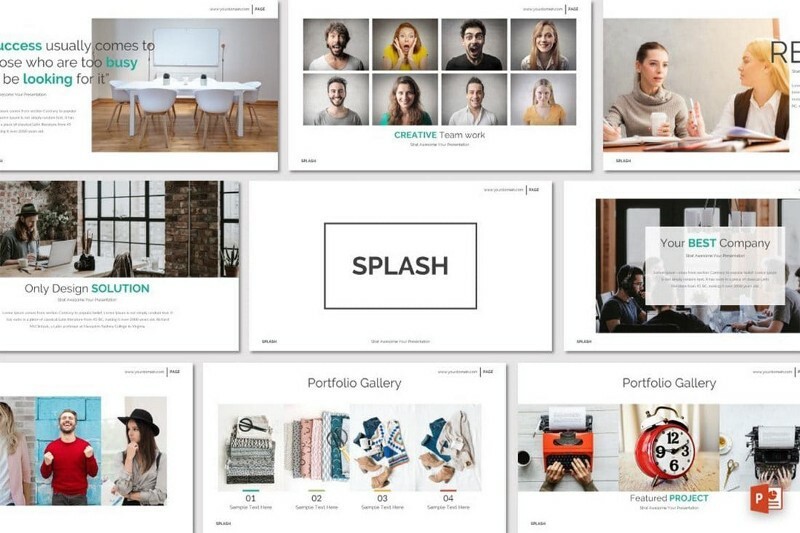 It features slides with a modern design for easily highlighting your portfolio, case studies, team, and galleries. The template includes 32 unique slides that are available in 5 premade color schemes. 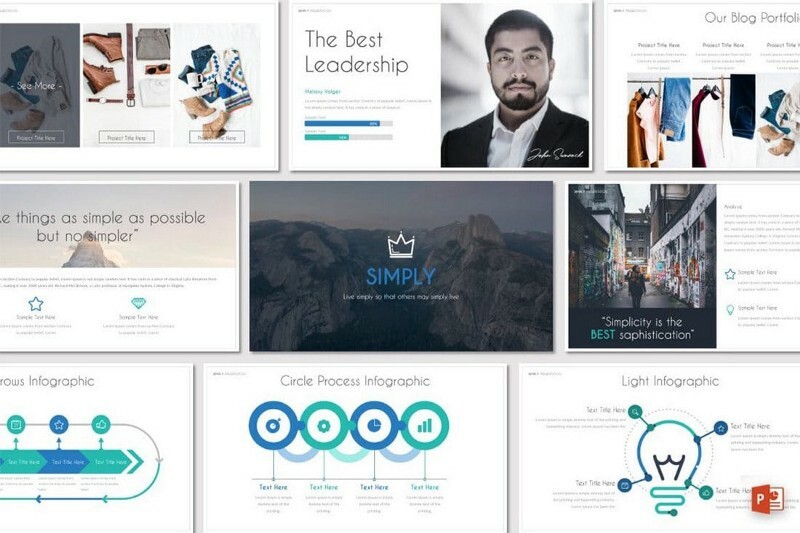 Simply is a creatively designed PowerPoint presentation template that includes 32 unique slides. It’s also available in 5 different color variations and features plenty of vector elements, such as infographics, charts, graphs, and more. You can easily edit it to customize the slides to your preference. 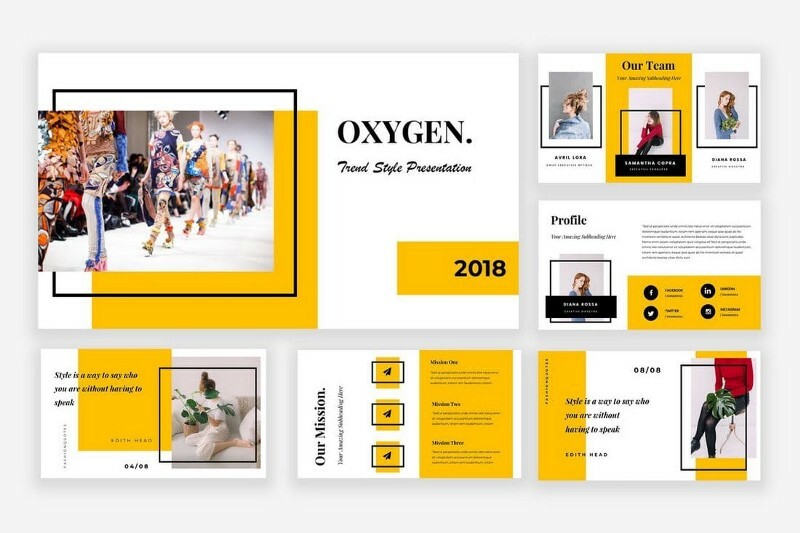 Oxygen is the perfect PowerPoint template for creating marketing and creative presentations. It comes with an attractive slide design and a drag and drop editing environment. The template includes 50 unique slides featuring infographics, maps, charts, and graphs. 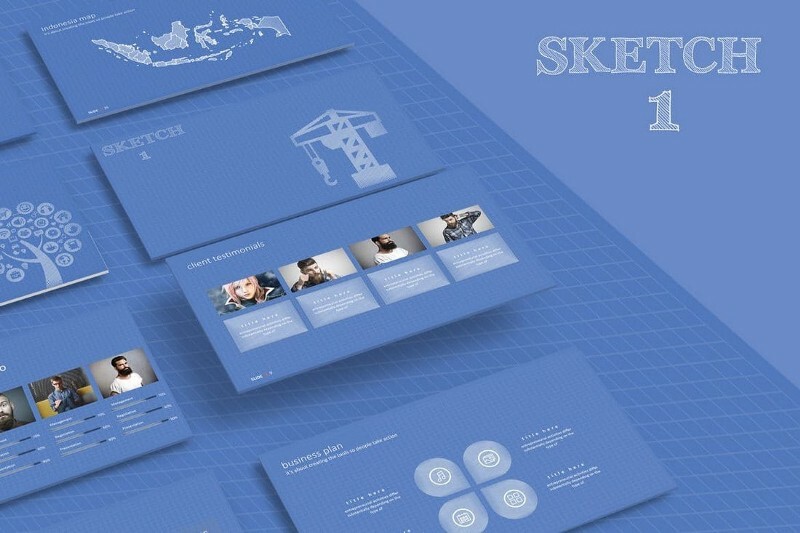 This creative template includes 40 unique slides that feature lots of sketch-based illustrations and icons. The template is also available in 50 different color variations and with hundreds of vector graphics, icons, and shapes. 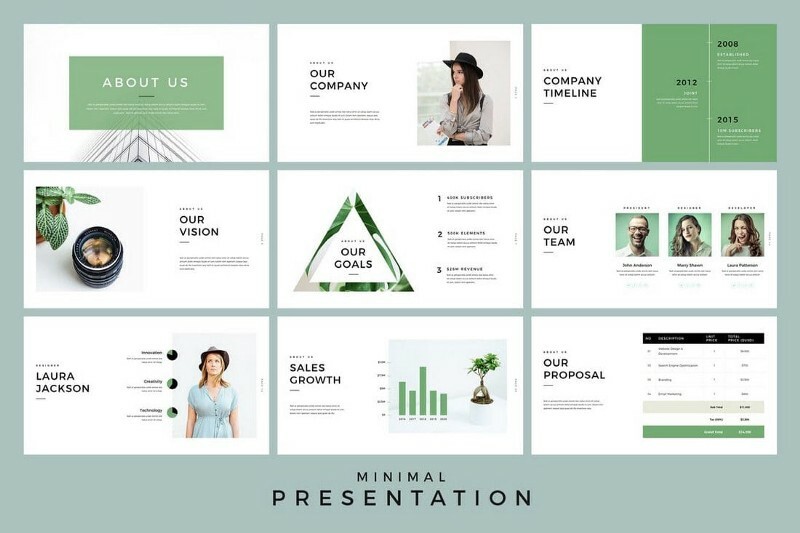 Featuring a minimal and a modern design, this PowerPoint template is best for showcasing your projects and products in your presentations. It’s also great for making presentations for corporate and small business presentations as well. 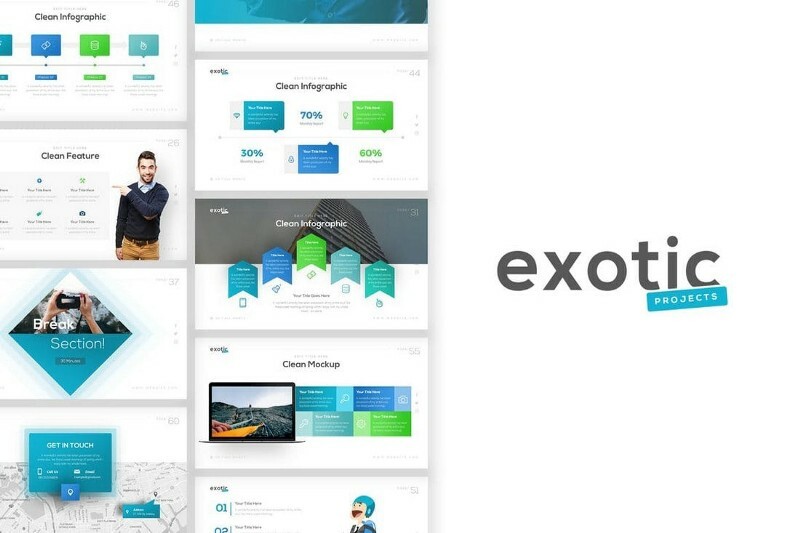 The template includes 62 multipurpose slides in 20 different color schemes. Next is a highly visual PowerPoint template that comes with a set of slides with a modern design. It includes 20 unique slides in 50 different color styles, including dark and light themes. The slides are also filled with lots of vector graphics and icons as well. 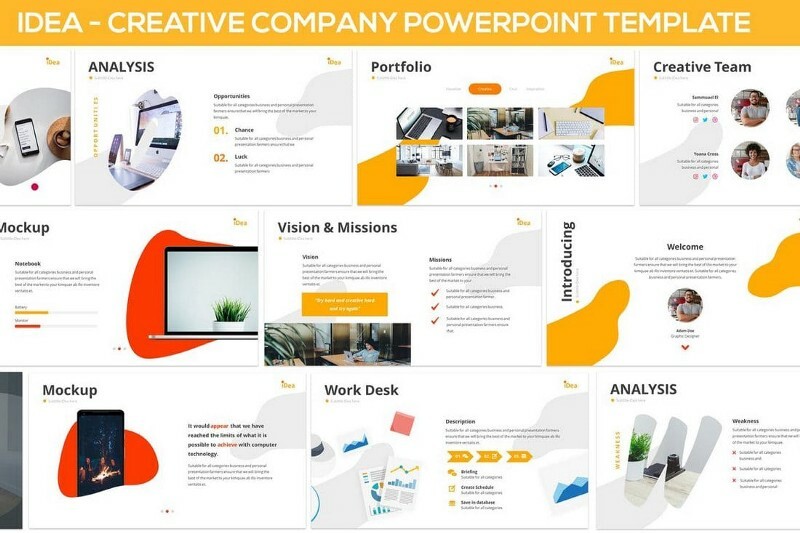 If you’re working on a presentation for a creative agency or a small business, this PowerPoint template will come in handy. This template includes 20 master slides featuring lots of vector elements, gradient colors, and icons. 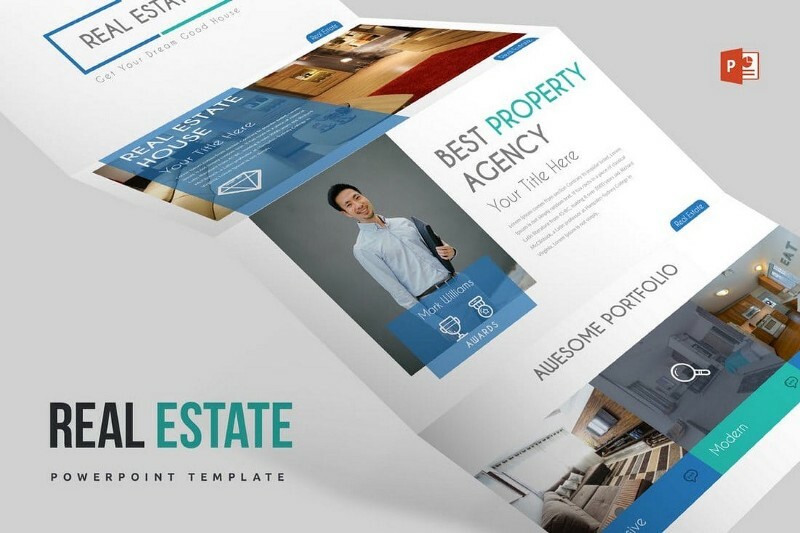 This is a PowerPoint template designed specifically for making presentations related to real-estate agencies. The template features 20 unique slides with plenty of space for highlighting properties with large images. It also includes charts, diagrams, graphs, and vector icons as well. 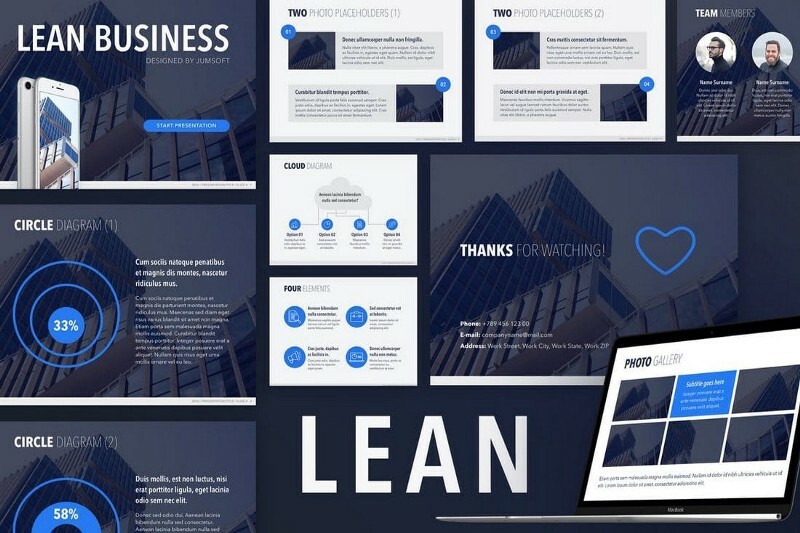 Lean is a professionally designed PowerPoint template that’s ideal for creating business and corporate presentation slideshows. The template includes 20 master slides featuring lots of vector graphics, icons, and shapes. 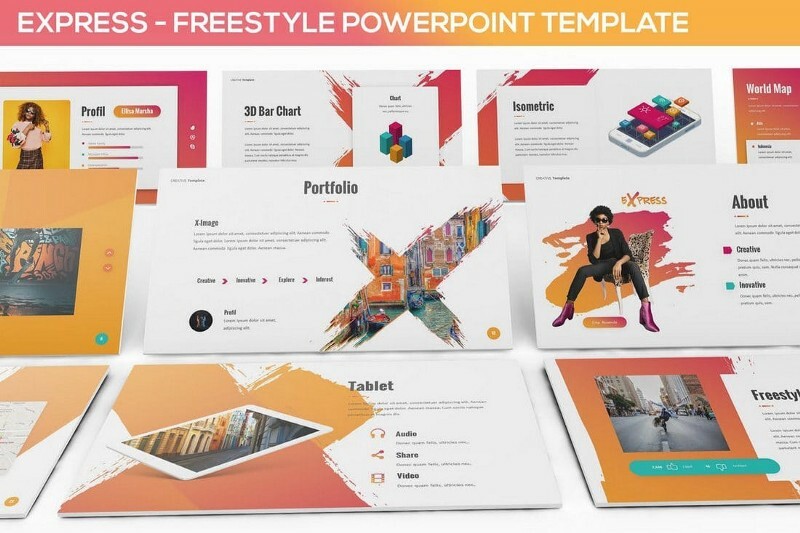 This colorful PowerPoint template is perfect for creating presentation slideshows for all types of occasions, including schools, colleges, marketing, fashion, and more. The template comes packed with vector charts and graphs as well. 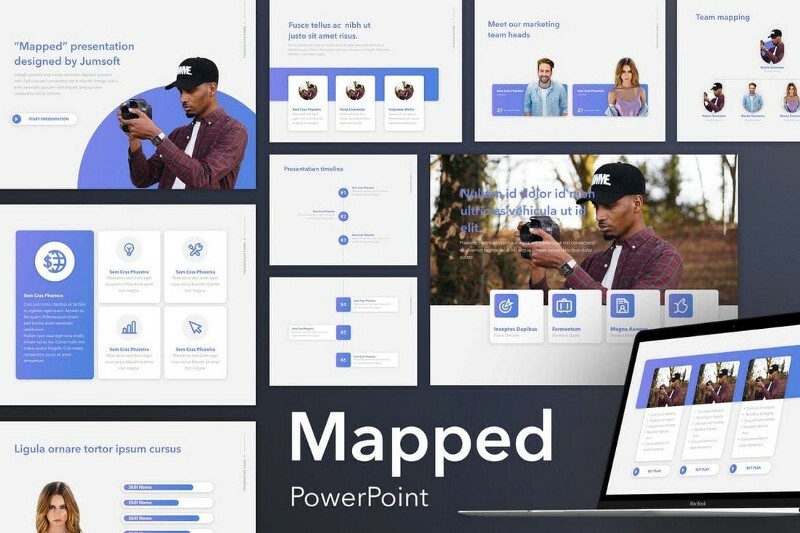 Mapped is a PowerPoint template with a modern design. It’s best for making slideshows for eCommerce businesses and startups. The template includes slides based on 20 master slides and animations. 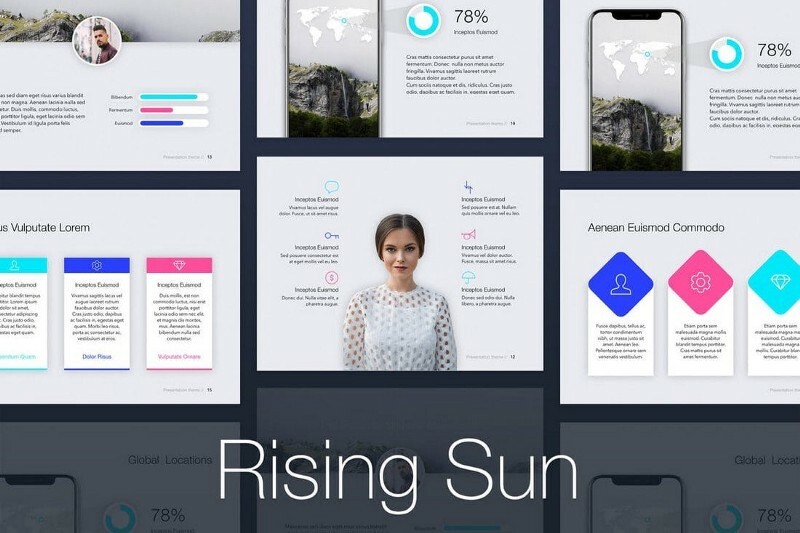 Featuring a set of 50 unique slides, this PowerPoint template is made specifically for creating presentations for business and corporate projects. It includes resizable vector graphics and gallery slides as well. Express is a unique PowerPoint template with a modern and a creative design that will certainly make your presentations stand out. It includes 30 slides featuring attractive brush-strokes, vectors, icons, and graphics. The template is also available in 3 different color schemes. 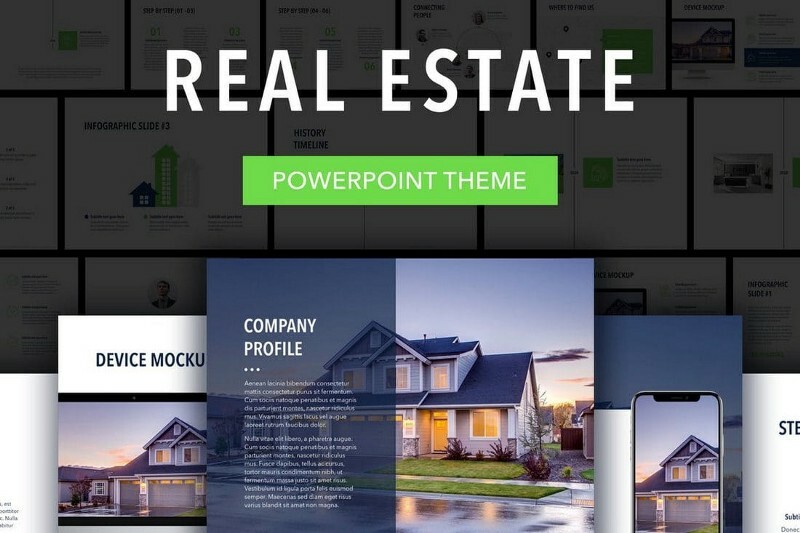 Another PowerPoint slideshow template for creating presentations for real-estate businesses. The template includes 30 clean and modern slides that are available in 5 premade color schemes. It comes with resizable graphics, vector illustrations, portfolio slides, and lots more. 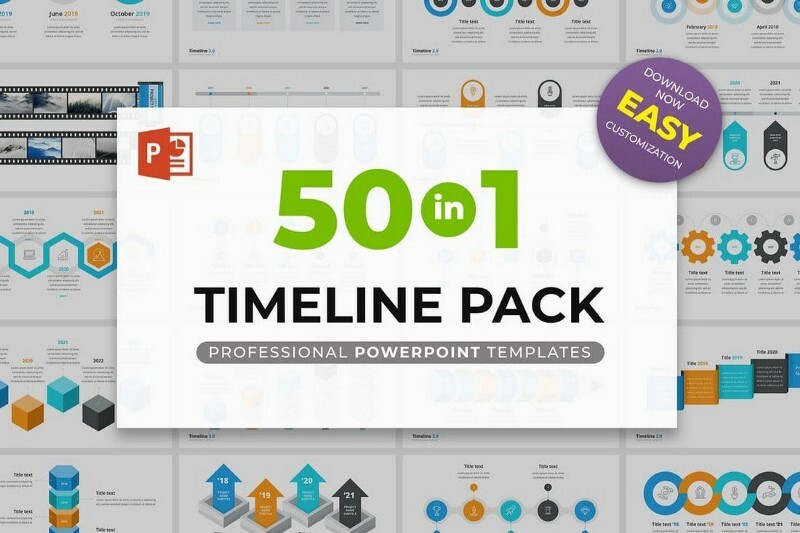 This is a massive bundle of PowerPoint templates that includes 50 unique templates of timeline slides. You can use them to create business projections charts, product-related graphs, and more. The templates are also available in 10 different premade color schemes.